Throughout the world and especially in the Global South, urbanisation is a dominant trend leading to a dramatic growth of cities. Hence, large agglomerations are further expanding and the number of so-called Megacities will increase in the future. The over-complexity of problems experienced by Megacities of today demands new approaches and innovative solutions for the Megacities of tomorrow in order to direct urbanisation towards sustainable pathways. Especially in the context of climate change, Future Megacities play a significant role on a global level as they are both massive contributors to green house gases as well as vulnerable victims of the phenomenon. Therefore, Future Megacities are a crucial arena for sustainable development and need to become active drivers of climate change mitigation and adaptation, as well as energy and resource efficiency. Combining research and practical application, the project teams in alliance with local partners from politics and administrations, universities, civil society and the private sector, developed new theoretical concepts, practical approaches and both technical as well as non-technical innovations for sustainable urban development. During the conference “Future Megacities in Action”, innovative ideas and good practices will be presented to an international community of researchers, practitioners and decision-makers. This international and transdisciplinary dialogue will take place in the harbour city of Hamburg. Here the International Building Exhibition and the HafenCity development project show urban solutions that address climate change or manage the transition towards green energy - a suitable setting for learning from each other, exploring good practices and developing transferable solutions to overcome the urban ingenuity gaps. 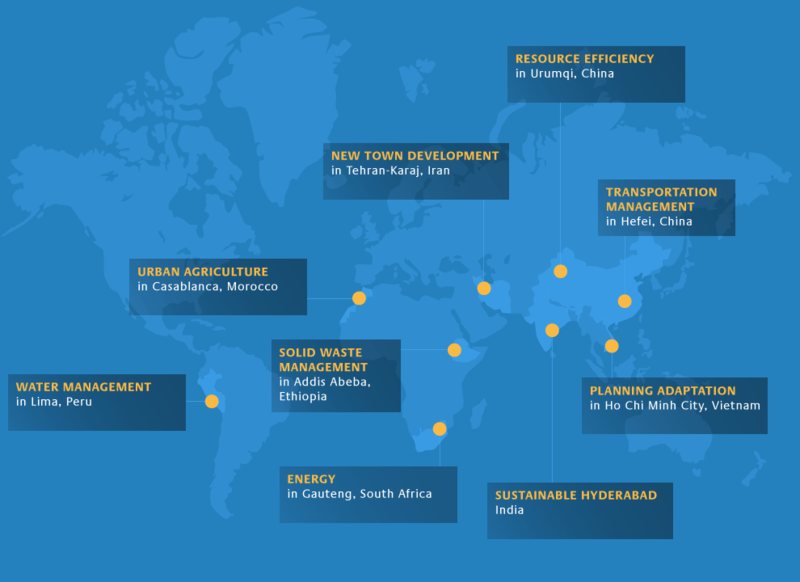 What are the challenges of Future Megacities in the context of climate change? What are urban realities demanding from research? What are the innovations needed to realise the change towards sustainability? What are the promising contributions generated by applied research? Which are good practice examples in the field of sustainable urban development? How can innovation be successfully implemented into local practice? What are key factors for generating sustainable impacts? What are promising ways for the multiplication of good practice? How can innovation be upscaled? What are visionary concepts for sustainable development of Megacities of tomorrow? What do we need to achieve that? What has to be done today?